Located in the middle of Portland, Maine’s downtown Old Port District, Portland Harbor Hotel is a luxury property that blends classic style with modern amenities. 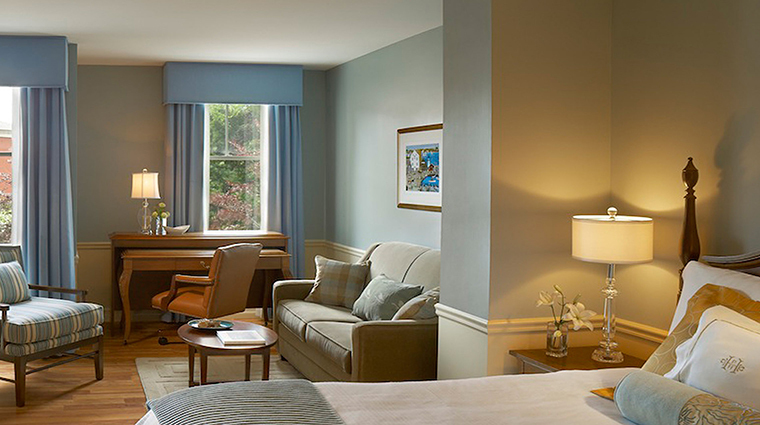 Of the 101 guest rooms and suites, the city-view units overlook Portland’s bustling cobblestone streets and nightlife while the garden-view rooms look onto the beautiful, verdant courtyard below. 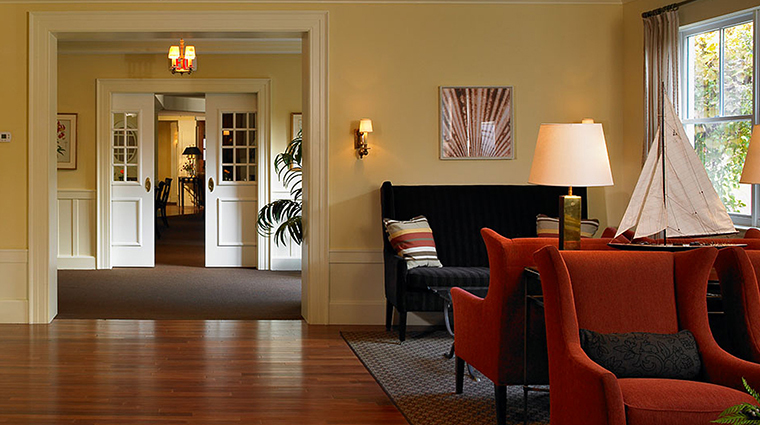 The Portland Harbor Hotel offers valet parking or the hotel’s car service (a Lincoln MKS) will pick you up at the airport, and chauffeur you to Portland’s many attractions. For onsite dining, Eve’s at the Garden serves three meals a day with a seasonal menu showcasing fresh, local ingredients. 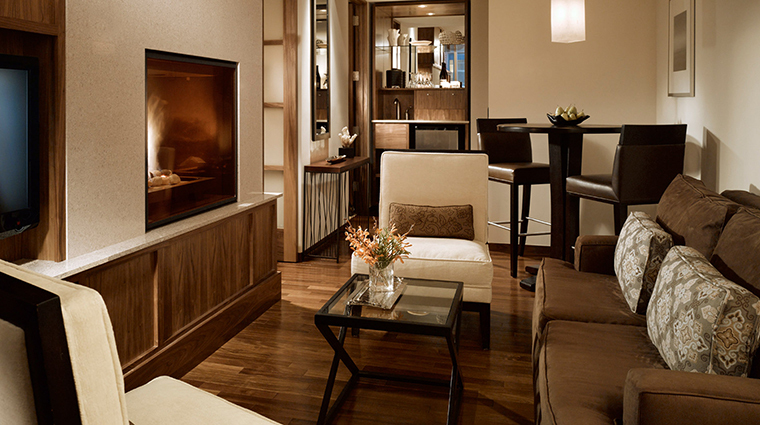 Complimentary Starbucks coffee is available every morning in the lobby, and on each floor. 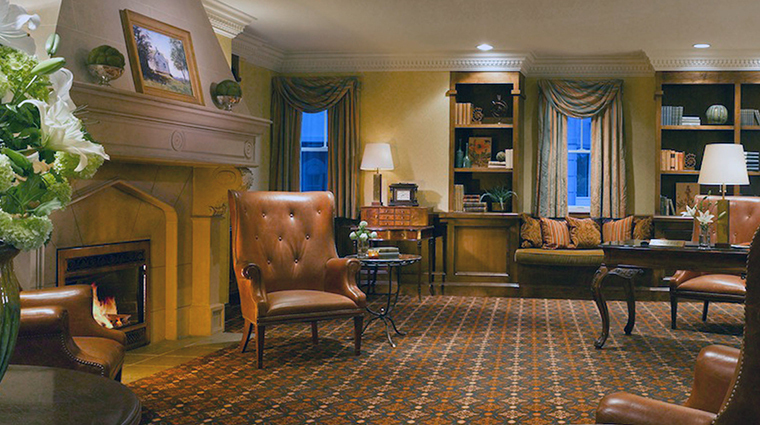 The hotel is pet-friendly and guests enjoy free high-speed wireless Internet. 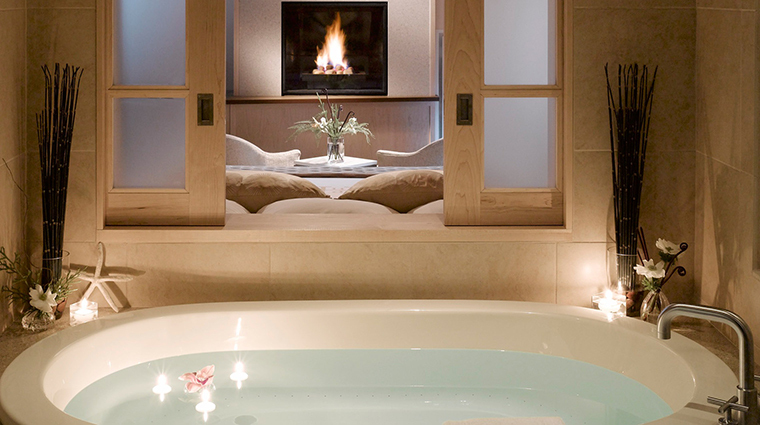 The boutique hotel’s fitness facility has cardio equipment and free weights, and massage therapy is offered on the premises. Portland Harbor Hotel is located at Fore and Union streets in Portland, Maine’s historic downtown Old Port District, a very short walk from the waterfront. While Portland Harbor Hotel was built in 2002, it incorporates a classic but distinctive design style that makes it look as though it’s been a part of Old Port’s cobblestoned framework for a hundred years. The location also offers easy access to the city’s many shops, restaurants and bars. Nearby attractions include the Victoria Mansion, the Portland Observatory and the Children’s Museum and Theatre of Maine. Casco Bay Lines, which provides ferry service to several nearby islands as well as scenic cruises, is less than half a mile away while numerous lighthouses and beaches are only a short drive. Summer is the busiest time at Portland Harbor Hotel, and for good reason. From late May through September, the Old Port streets are filled with those out shopping and exploring Portland’s cultural and culinary scene. It’s also a great time for a ferry or sailboat ride. The fall is a pleasant time to visit. The summer crowds have thinned out and the foliage makes for Instagram-worthy pictures. 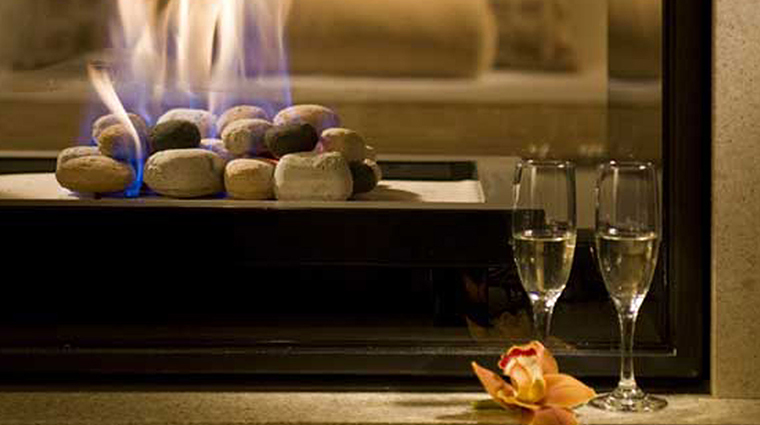 The Portland, Maine, hotel also hosts an annual winter Ice Bar in January that is always a great party. There are frozen sculptures, food, drinks and entertainment at the multi-day event. 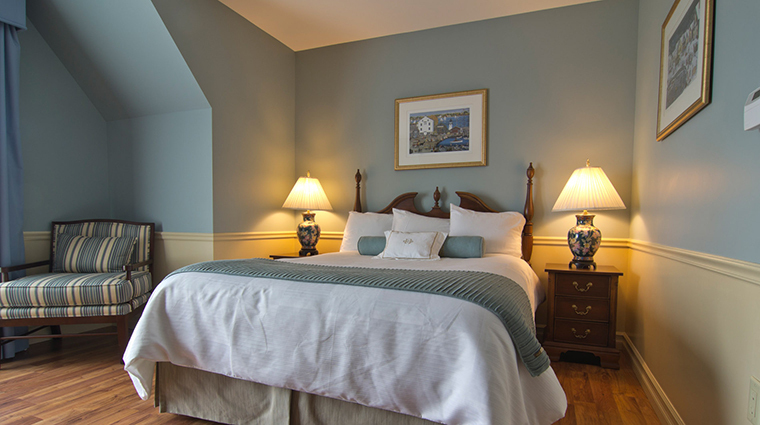 Portland Harbor Hotel guest rooms are spacious and bright with traditional styling and luxury appointments. 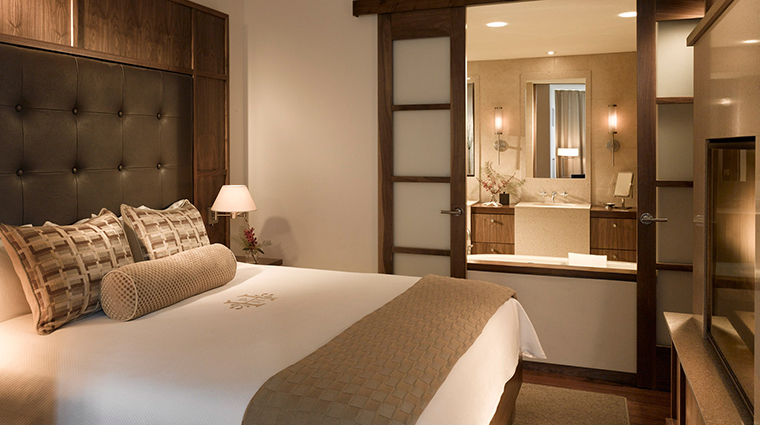 All rooms feature hardwood floors, a custom pillow-top mattress and a granite-appointed bathroom with a glass-enclosed shower and soaking tub. 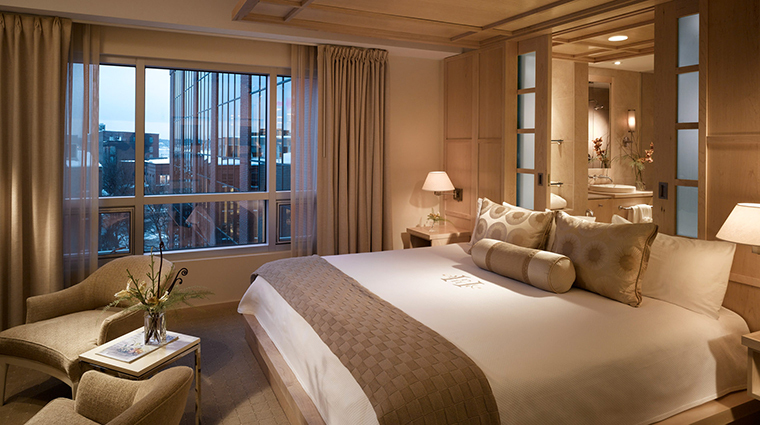 The pillow-top beds, also custom, are topped with 250-thread count linens, a duvet cover and down feather pillows. 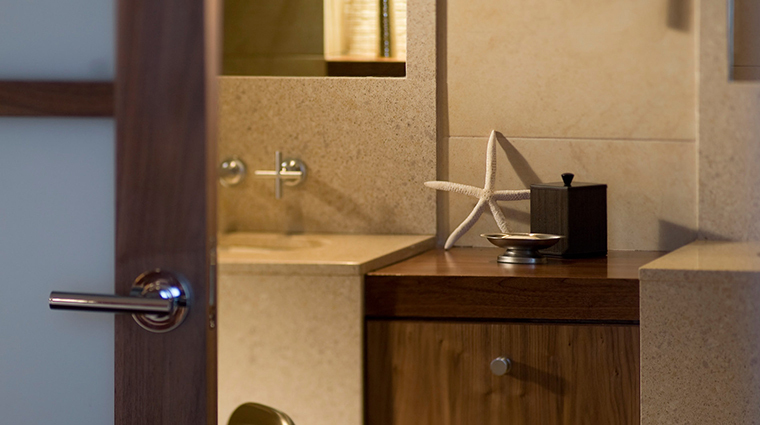 The bathrooms have a shower walled with granite and glass, and the counter tops are granite as well. 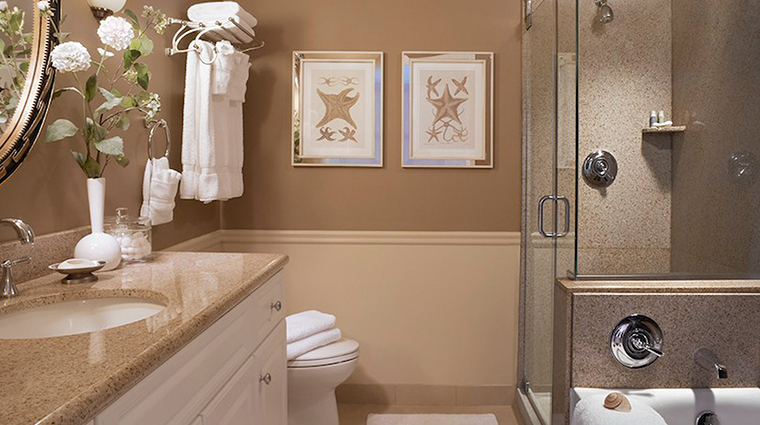 There’s even a speaker in the bathroom hooked up to the flat-screen television in the other room. 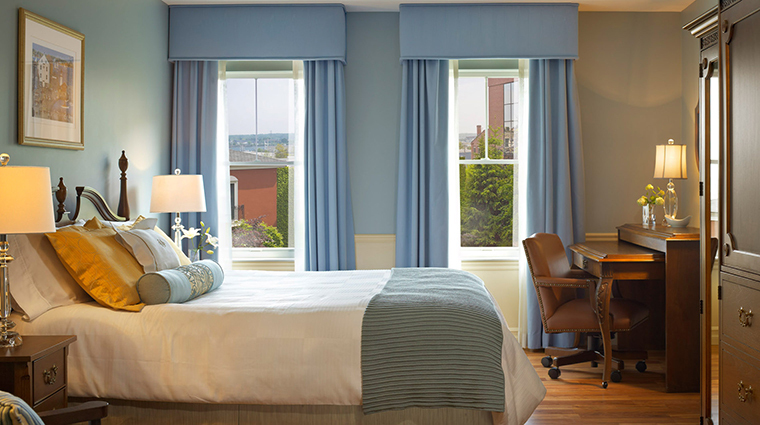 City-view rooms allow you a peek at some of Portland, Maine’s popular nightlife spots, while the boutique hotel’s garden-view rooms overlook the serene, leafy courtyard. 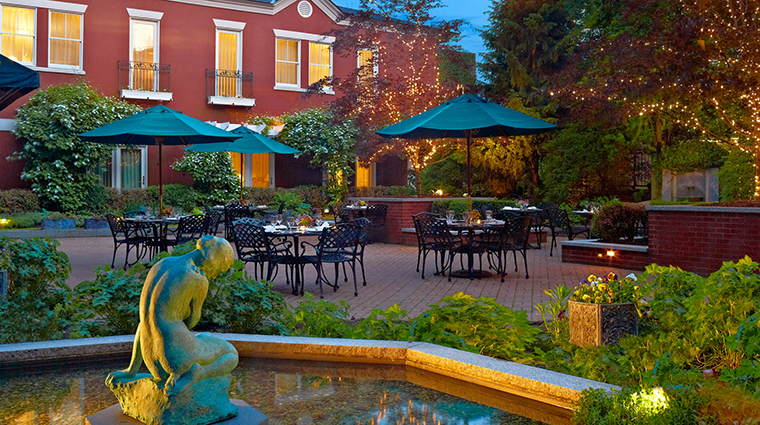 Eve’s at the Garden is Portland Harbor Hotel’s signature restaurant. Executive chef Timothy Labonte changes his menu seasonally to incorporate fresh, local ingredients (there’s plenty of seafood), formulating a creative and diverse menu with something for every palate. 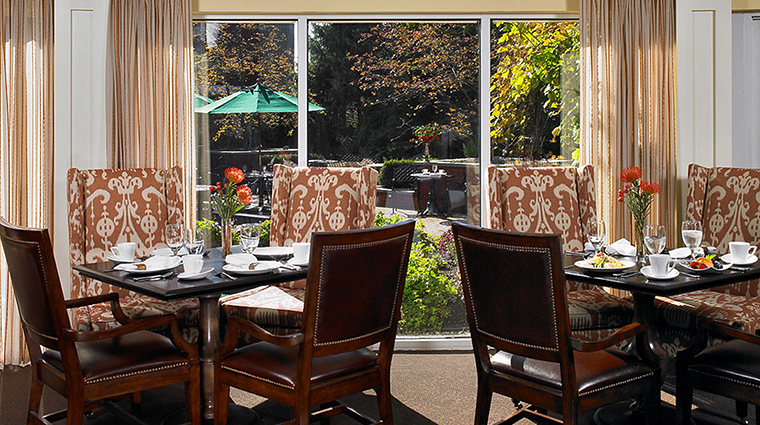 Breakfast, lunch and dinner are served daily in the elegant and comfortable dining area just off the hotel lobby. 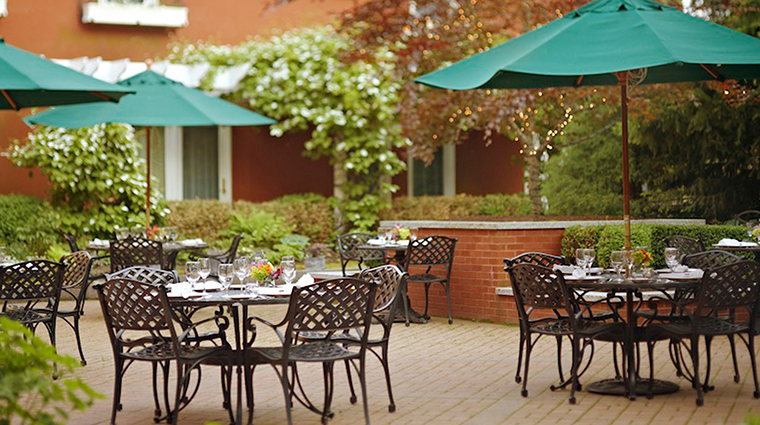 Outdoor dining in the courtyard is offered when the weather is nice. There’s a happy hour from 4 to 7 p.m. every weekday with glasses of wine, specialty drinks and martinis for a nominal cost. 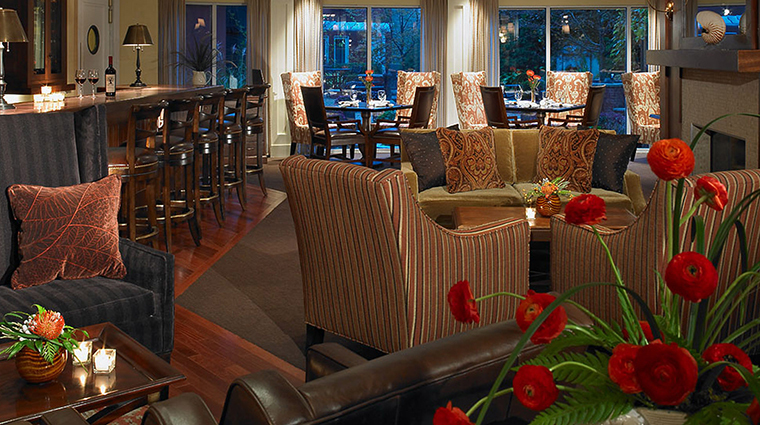 The “Bar Bites” menu, which offers soups, salads, sliders, tacos and more, is a great option if you’re looking for a lighter meal at the Portland, Maine, hotel.